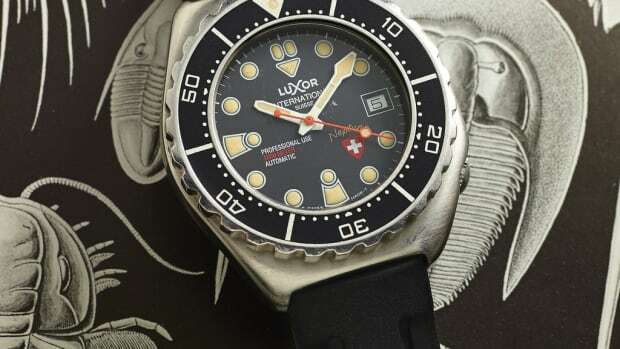 There's a time and a place for the big guns like Rolex, Omega, and Tag Heuer. 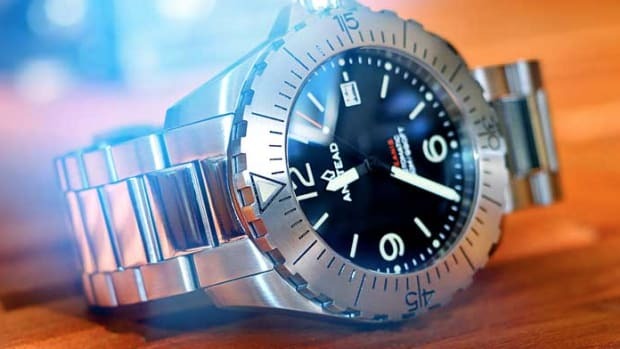 But if you're just looking to up your wrist game without tossing around a few grand---here are ten solid timepiece options, each priced at less than $400. 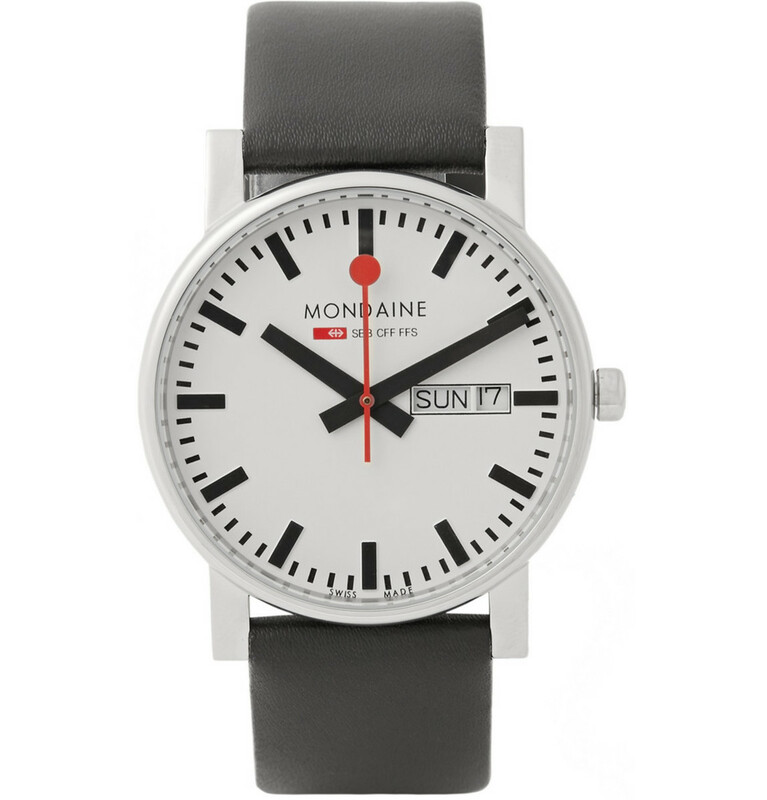 Mondaine Evo Day-Date Stainless Steel Watch: This one has a funky look to it that's modern and desinger-y. A great look if you have the style and personality to pull it off. 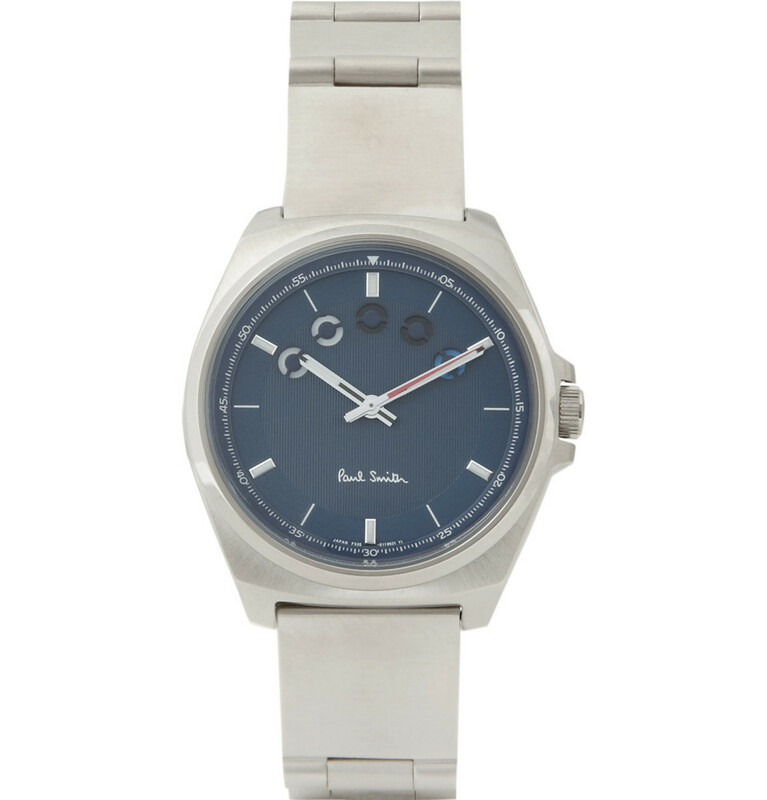 Paul Smith Five Eyes Stainless Steel Watch: Love the eyes on this thing. Such a fresh and modern look that's a lot of fun. 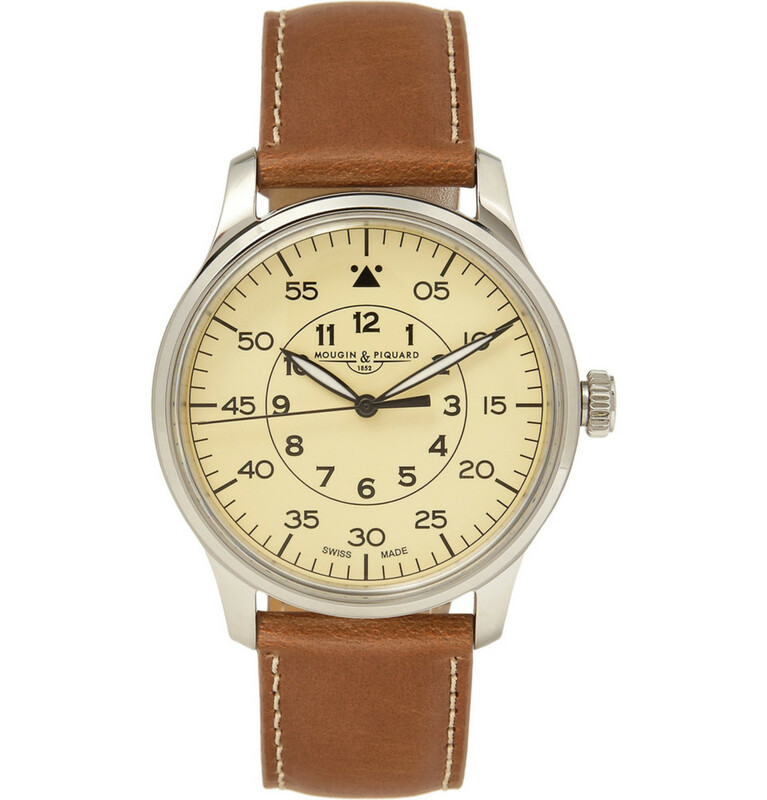 A good watch to compliment a more traditional one if you already own something. Mougin & Piquard x J.Crew Grande Seconde Stainless Steel Watch: The cream dial on this thing is super sharp for a traditional and warm look that's perfect for fall and winter. 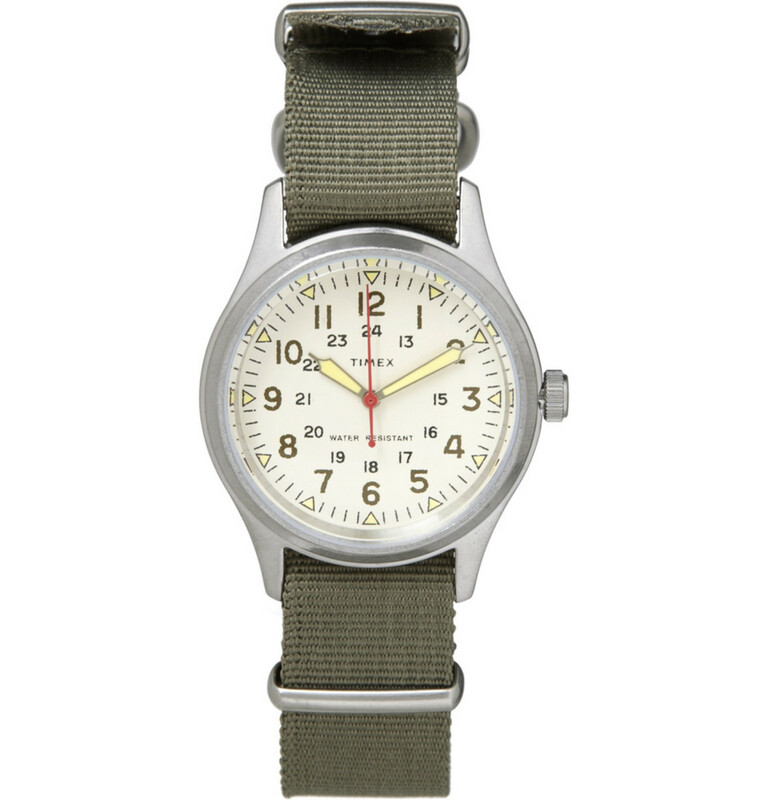 Timex x J.Crew Timex Vintage Army Steel Watch: Here's another solid look that J.Crew is involved in. 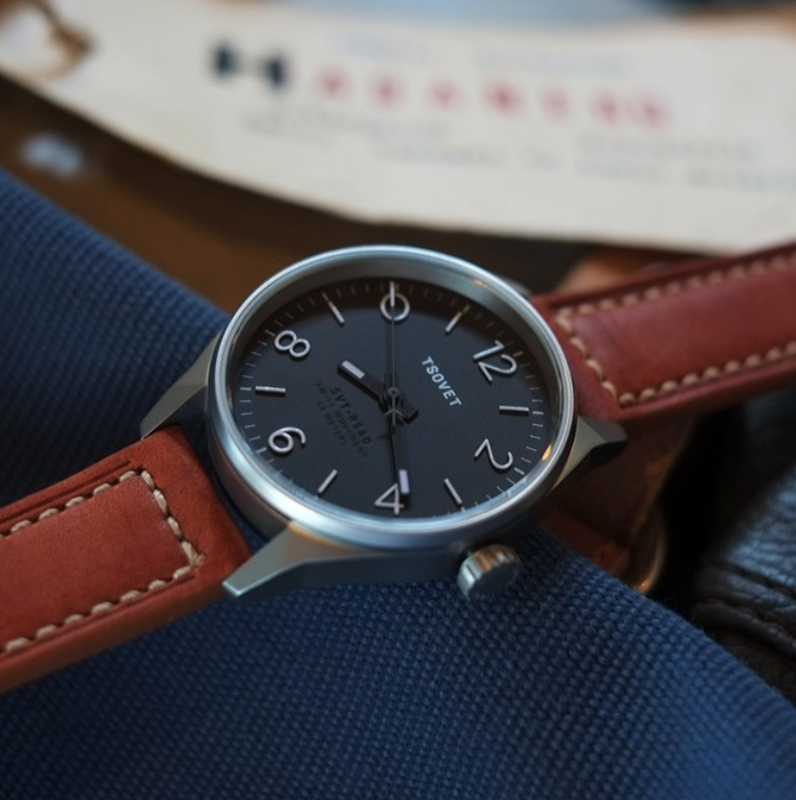 It's based on a vintage 1940s style from the Timex archives that was created for the US army, this is a simple and casual watch that's perfect for anything that doesn't involve a suit or tie. 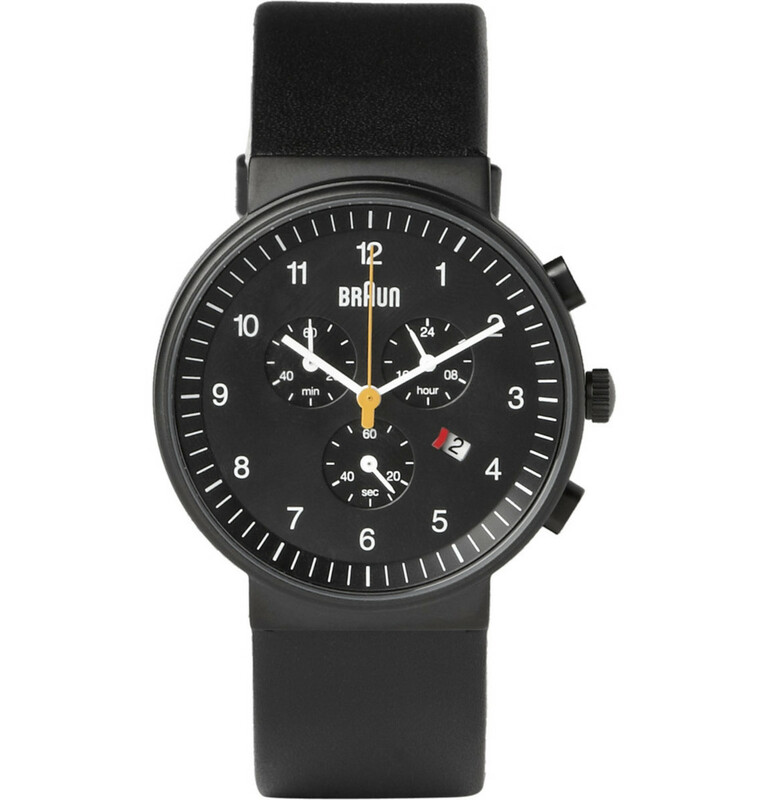 Braun x Dieter Rams BN0042 Stainless Steel Watch: Despite its modern look, this watch from Braun and Dieter Rams ultimately feels as classic as vintage-inspired timepieces. 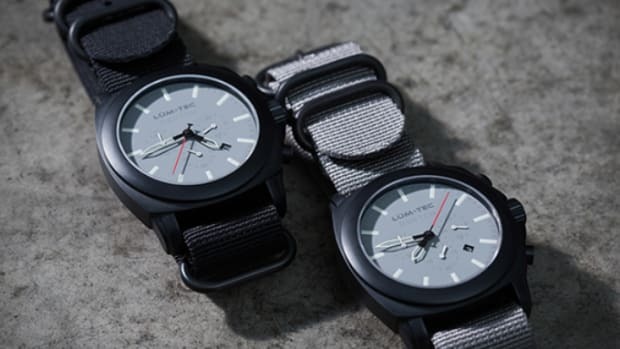 It's really thin and lightweight too, making it a comfortable and easy watch to wear regularly. 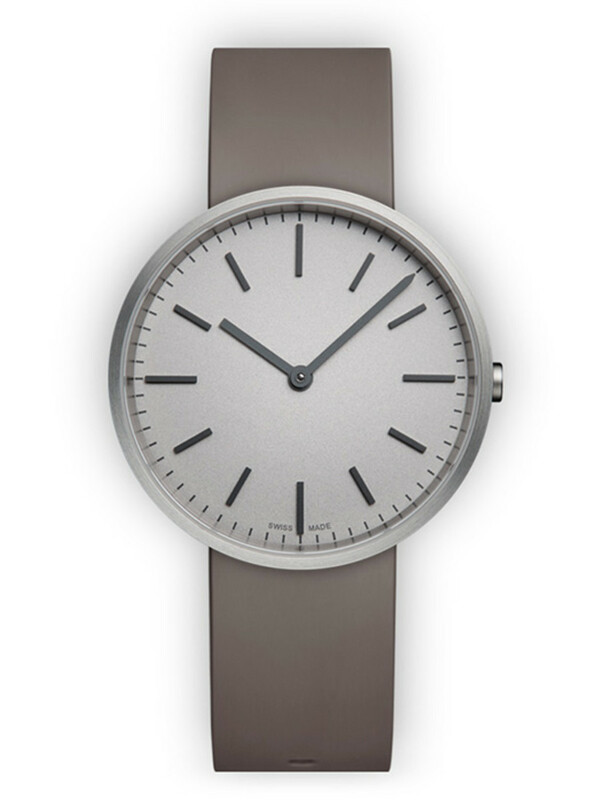 Uniform Wares M37: A minimalist design with an aerospace-grade stainless steel case. 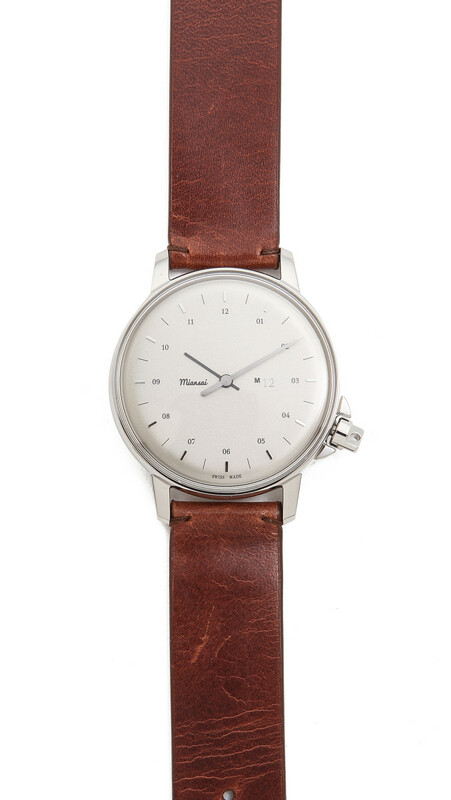 Less is really more---and this watch from Uniform Wares proves that. 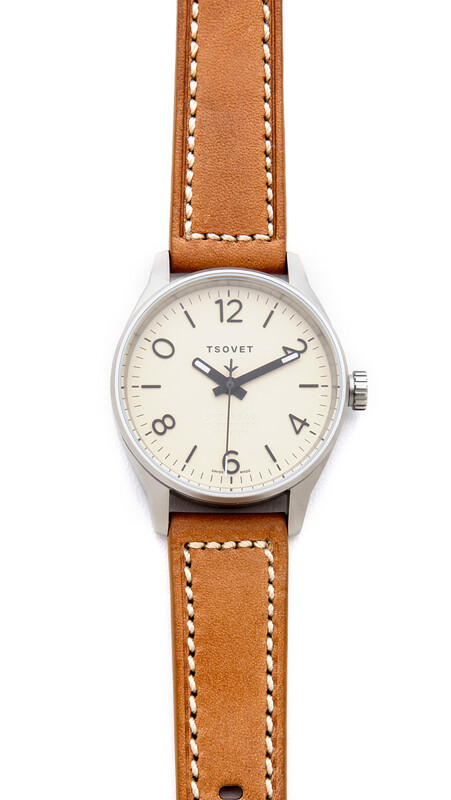 TSOVET SVT-RS40 40MM Watch: This Newport Beach, CA based brand always makes good looking watches, and this particular model is the perfect balance of classic and modern. Miansai M12 White Dial Watch: We've got a major design crush on pretty much everything Miansai does. This one has kind of a modern and coastal feel to it while still feeling something your grandfather would wear. 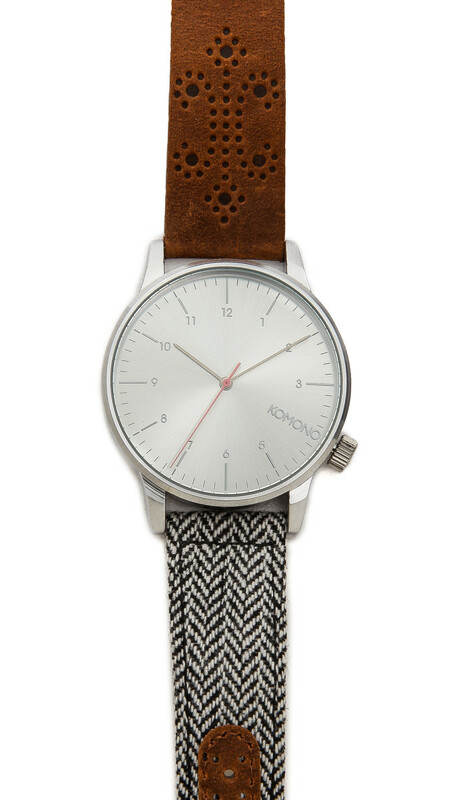 KOMONO Winston Galore Watch: For only $100 bucks, it's hard to not like this watch from KOMONO. 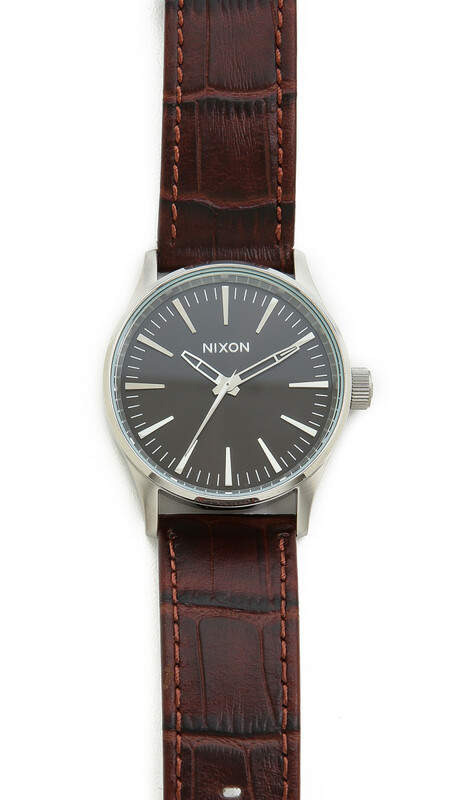 Love the herringbone/leather strap too. So different and cool.